Welcome to FunFactory Ireland, part of the ShedFactory group. 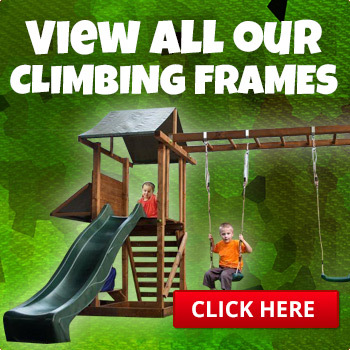 At the FunFactory we supply and install the latest Kid's Climbing Frames and Children's Playhouses in Northern Ireland. Our quality products are built to the same dedication as our wooden sheds. And we have recently been appointed as All-Ireland agents of dunsterhouse.co.uk - supplying a superb range of EU approved Climbing Frames with loads of extras you wont find from any other supplier. 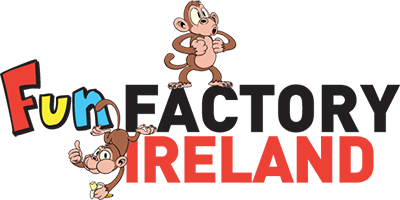 DunsterHouse Climbing Frames feature swings, wavy slides, climbing walls, monkey bars and more, so that your little monkey's can stop playing the xbox and go outside into the fresh air for a change! These quality products simply last a lifetime (or at least until they grow up). 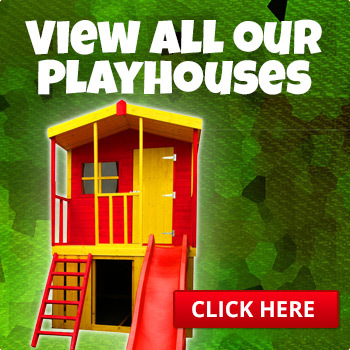 From Belfast to Fermanagh we have supplied thousand's of playhouses from the ShedFactory in Belfast. Our quality wooden products are renowned for stability and creativity. As well as out standard range we can also create bespoke kids playhouses to order. Why not visit our display on Boucher Road Belfast to see the quality of our products.